2002, more than 11 million people have benefited from injections.1 From its bizarre origins to its use in unusual celebrity treatments, here are eight facts you might not know about Botox. In the early 1880s, southern Germany experienced a spike in fatal food poisoning cases, most linked to spoiled sausages. Physician Justinus Kerner studied the effects of fat extracted from the sausages on animals, paving the way for research into how Botox could be used on the human body, as it is today. The FDA has approved Botox for use treating many conditions such as lazy eye, eye twitching, overactive bladder and chronic migraines. Botox may also help those suffering from temporomandibular joint dysfunction (TMJ), cerebral palsy, depression, abnormal heartbeat or hyperhidrosis; however, these treatments have not been approved by the FDA. During World War II, the U.S. government wanted to use capsules filled with Botox as a chemical weapon against the Japanese. The plan was to arm women in China with the capsules, which they would slip into the drinks of Japanese officials. The plan was never made a reality. The cost of Botox varies significantly and largely depends on the size of the treatment area, the required dosage and your geographic location. With treatments starting at as low as $300, Botox is available to everyone! 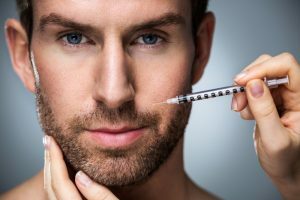 If you are considering a Botox or Xeomin treatment to reduce the appearance of fine lines and wrinkles, consider meeting with Dr. Sergio Vendetti at Virginia Surgical Arts. Before diving directly into treatment, our team takes the time to assess your overall health, medical history and aesthetic goals as well as answer any questions you may have. Schedule your consultation today by calling (757) 430-7690.